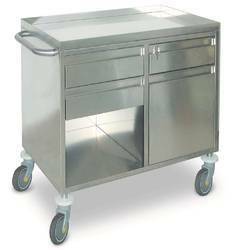 Overall Approximate size: 1070mm L x 520mm W x 800mm H.
Approx Size: 990mm L X 490mm D X 1600mm H.
- Easy to use for nursing staff, convenient to keep and store the records in safe. 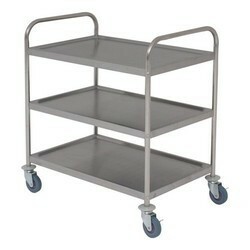 - Whole trolley is made of stainless steel, with simple construction and easy to operate. - 30 shelves, lockable doors to avoid losing the records.